Here is a huge list of easy Crock Pot Express recipes for you to try in your new pressure cooker this week! From dinners to side dishes and desserts too you will surely find a favorite dish here. Simple and delicious meals your family will love to eat and make your life a lot easier in the kitchen. You can slow cook, pressure cook, steam, make rice and homemade yogurt, brown, saute and much more….. all with this one “fancy” appliance. What are you waiting for? 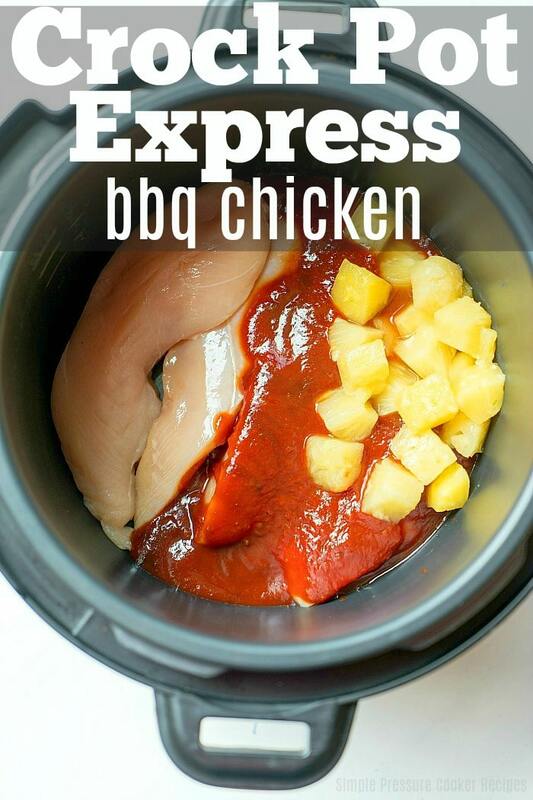 You can find the Crock Pot Express you see here on my counter and try it out for yourself. This is a must-have for your kitchen! 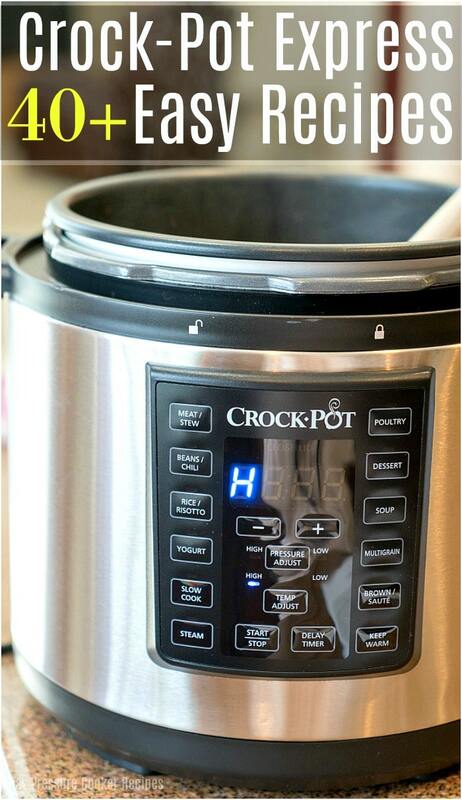 For more simple pressure cooker recipes and helpful tips sign up for our free newsletter here! 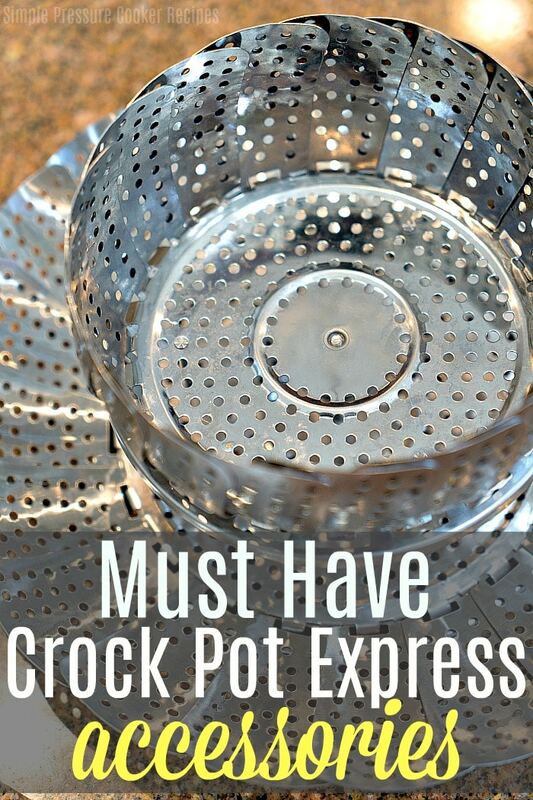 First here are some must have Crock Pot brand Express Accessories! 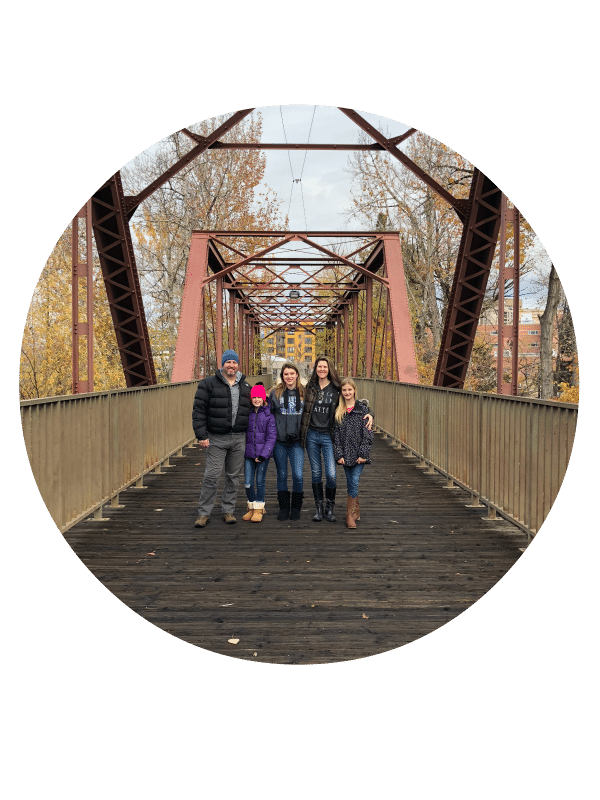 You can grab a free Crock Pot Express cookbook here as well as a Keto Crockpot Express cookbook to help you in your pressure cooking journey! Looking for some easy new Crock Pock Express recipes you say? Here are some awesome ones to get you started! There’s nothing this express crock multi cooker can’t do really. Corned Beef Dinner Get ready for a St. Patty’s day feast! Pot Roast Total comfort food, it doesn’t get any juicier or tender than this! Asian BBQ Beef Short Ribs Because you can never have too many ribs recipes. This pressure cooker roast beef is the bomb! Beef Bourguignon Get ready for a crowd pleasure with this recipe! Rustic Italian Beef Stew Beefy, hearty and delicious. Chicken Tikki Masala Looking for an Indian flavored cuisine that you can make in under 30 minutes? This recipe is for you! Sweet & Sour Chicken Packed full of flavor! Better make enough for seconds! Easy Chicken Nacho Dip Warning, this dip is addictive. White Chicken Chili This chicken chili is just waiting for you to try it! 7 Minute Chicken Noodle Soup You’ll have to try this recipe to believe it! Chicken noodle soup in 7 minutes?! Whole Rotisserie Chicken What else can cook a whole rotisserie chicken in under 30 minutes? Your Crockpot Express can. Pressure Cooker Pulled Chicken Shred it and pair it with any veggies of your choice. Yummy Chicken Orzo Soup Soon to be a staple on your weeknight meal plan! Tomato Basil Chicken Breast Not only does it look great, it tastes even better. Chicken and Dumplings A true crowd favorite. Crockpot Express Ribs Who doesn’t love ribs?! Crock Pot Express split pea soup – seriously the best healthy and flavorful soup in just 18 minutes. 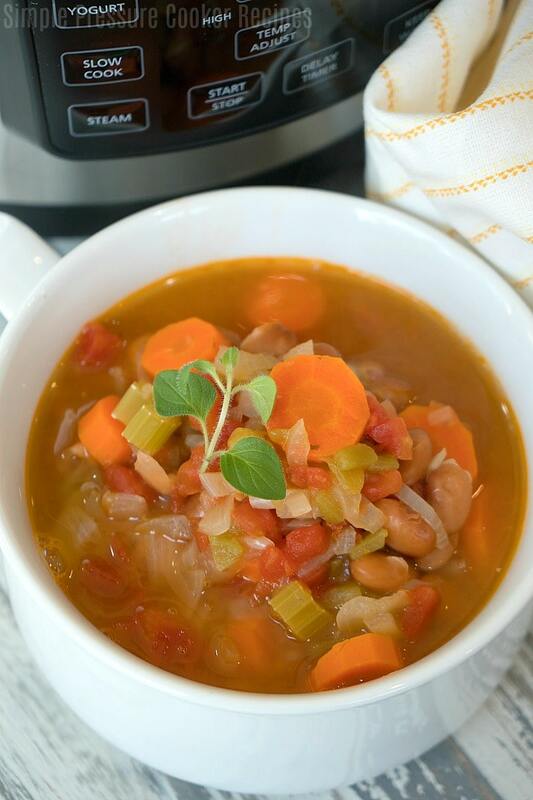 Simple and homemade Crock Pot Express Pinto Bean Soup Healthy and full of flavor. Chili In need of a hearty chili, but don’t have a ton of time to prepare? If you an hour to spare, you’ve got time with this chili recipe. Loaded Baked Potato Soup Everything you want on your baked potato will be also found in this soup. Easy Cheesy Chili Full of beans and cheese! Rustic French Stew Chicken AND sausage? Perfection. More recipes please??!! Here you go! Oxtail Mac & Cheese Super simple…and cheesy recipe. A fun take on a classic dish. Enchilada-Style Stuffed Peppers Meat, cheese, and veggies? A complete meal in one! Herbed Salmon Parcels Smoked salmon in 5 minutes? Game on. Bolognese Sauce Great recipe to serve over noodles! Creamy Mac and Cheese Unbelievably delicious, and super cheesy. Chorizo and Kale Stuffed Sweet Potatoes This dish has all the flavors. Fried Quinoa and Tofu Love tofu? You’ll love this! 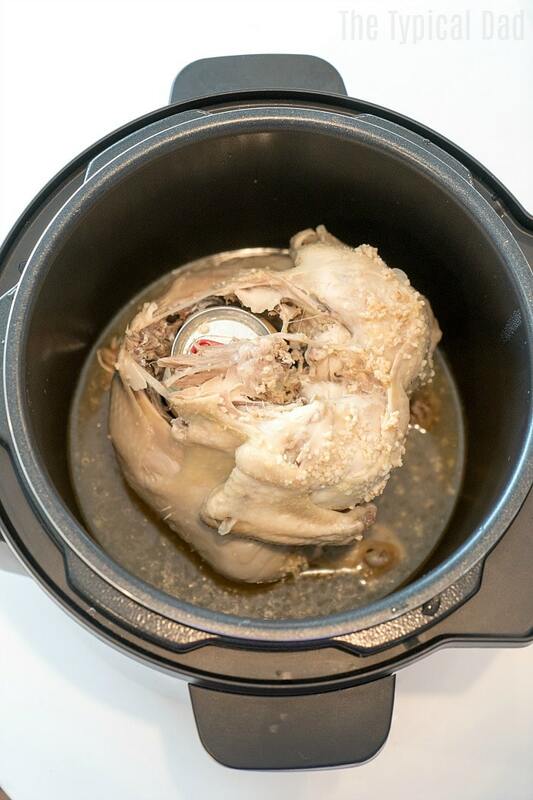 Turkey Breast and Stuffing Thanksgiving dinner in your Crockpot Express? Absolutely. And if those options aren’t enough, take a look at this long list of Instant Pot recipes which you can easily adapt to be used in this pressure cooker too. Have fun and if you have another one that should be featured on our Crock Pot Express Recipes post let us know! You will be in awe and amazed at how efficient it is and how well it cuts your cooking time down!